Terra cotta is a natural material, manufactured from earth and water, that has been used to create building products for centuries. It is an energy-efficient, sustainable choice for your building project. At Ludowici, we are committed to manufacturing architectural terra cotta products that honor their heritage from the earth. There are many qualifications that we strive to meet each and every day, to help us live up to this promise. Unlike other roofing materials, Ludowici terra cotta tiles have a life expectancy of over 100 years. Our tiles also do not require maintenance, saving the environment from harsh chemical cleaners and landfills from filling up with roofing products that need to be replaced every 10 years. This means Ludowici tiles offer the lowest life cycle costs in the industry. Ludowici tiles are made of locally-sourced, natural materials (clay and water) through a unique process which creates no waste. We go to great efforts to be good stewards of the land we harvest. Our tiles are chemically inert, making them forever safe. Moreover, all Ludowici products are 100% recyclable. They may be reused to create a beautiful vintage roof. At the end of their lifespan they can be recycled and used as filler and filter components for future construction. Energy savings exceeding 20% are common with a Ludowici roof (versus an asphalt roof). With a number of standard colors that meet a Solar Reflective Index (SRI) of greater than 39, Ludowici offers proven energy-efficiency without limiting color choices. Finally, explore Ludowici’s rain screen system to discover more ways to save energy throughout the building envelope. Ludo 360 is a special clay body blend made of clay scrap, shale and waste material that produces a clay tile with 40% postindustrial content. Ludowici can make any of our standard profiles, trim pieces and accessories with our Ludo 360 clay body. Add that to one of our LEED, CRRC and Energy Star color glazes and you have a truly environmentally friendly roof option. Ludowici products also earn some or all of the many certifications from the four main organizations setting the standards for sustainability: Cool Roof Rating Council, Cradle to Cradle, Energy Star and U.S. Green Building Council’s LEED program. 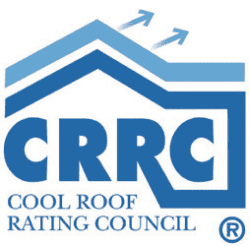 The Cool Roof Rating Council is an independent, non-bias organization whose mission is to implement and communicate fair, accurate and credible radiative energy performance rating systems for roof surfaces. Ludowici has over 26 colors rated with the Cool Roof rating program. See a sales representative for a current list of CRRC accredited colors. 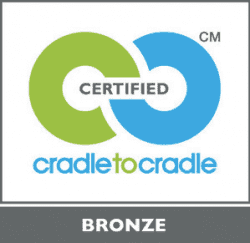 Products that qualify for this holistic certification program are not only efficient but essentially waste free. Ludowici products have a material reutilization content score of more than 30. 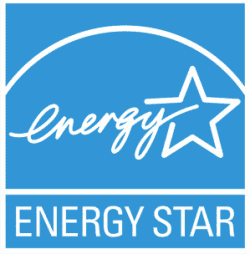 An Energy Star labeled product is a reflective roof product that lowers roof surface temperature, thereby decreasing the amount of heat transferred into a building’s interior. Ludowici has a number of colors that exceed the Energy Star product requirements for solar reflectivity and are available on all Legacy Collection profiles. See the Colors of Ludowici brochure for color list. 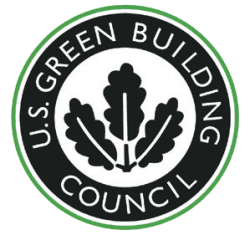 According to the U.S. Green Building Council, “LEED is an internationally recognized certification system that measures how well a building or community performs across all the metrics that matter most: energy savings, water efficiency, CO2 emissions reduction, improved indoor environmental quality and stewardship of resources and sensitivity to their impacts.” Ludowici products qualify for the following LEED credits (depending on project location, color and post-industrial recyclable content of product-selected).